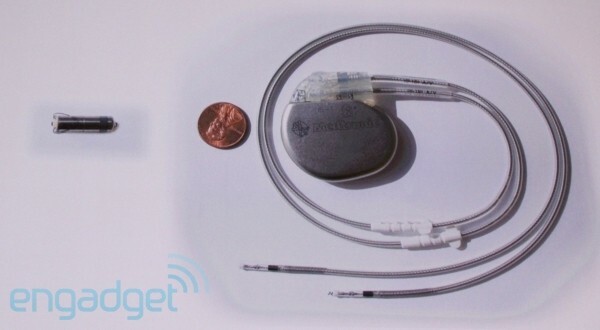 Engadget posted today that Medtronic has unveiled a pacemaker that can be inserted via a catheter (basically the same way a stent goes in) as opposed to the current method which requires minor surgery, cutting through the skin to implant a small box under the skin. 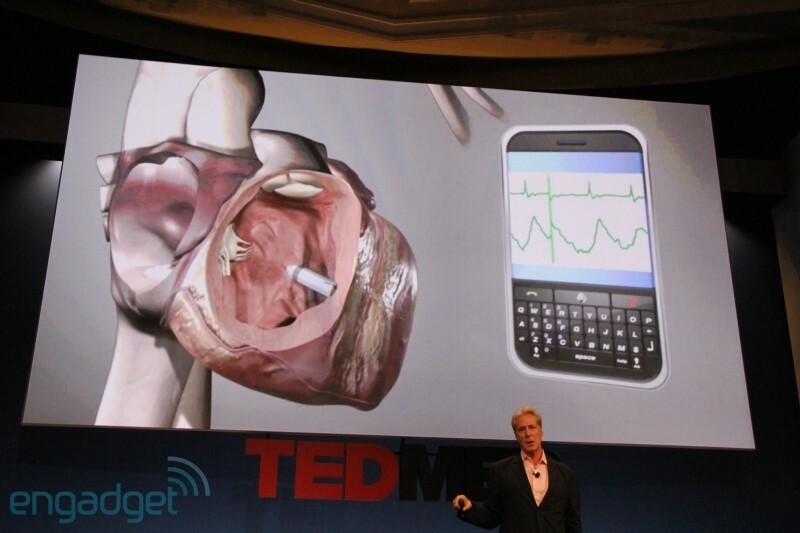 They also demo'ed an interface which shows the pacer being monitored via smartphone. This goes along with a defibrillator recently published in NEJM where the leads go under the skin instead of into the heart. This kind of tech has some great advantages such as easier insertion, less complications during and after implantation. I wonder how they are dealing with battery life and how these could be replaced.